It’s the diet craze du jour for celebrities and serious nutritionistas alike. But what does the Paleolithic diet, a.k.a. “going paleo,” actually entail? Broadly, it means eating only what our primitive ancestors did: meat and fish, eggs, vegetables and fruit, nuts and seeds. Strictly off-limits foods include dairy, grain products and anything processed. Sounds like it could be healthy…but how difficult is it to eat like a caveman in 2015? Let’s start with the facts. The modern paleo diet was introduced in the 1970’s by a nutritionist and exercise physiologist named Dr. Loren Cordain. He contends that advances in food production and processing have changed food more rapidly than our digestive systems have evolved to process it. We cannot adequately digest many modern-day processed foods, he says, resulting in increased risk for a host of chronic diseases. Cordain’s theory remains a topic of debate among nutritionists, but that hasn’t stopped the paleo diet’s boom in popularity. Dozens of variations exist, each with its own slightly tweaked set of rules and promises of unique health benefits. Among the most widely followed is the version espoused by Dr. Mark Hyman, who famously counseled the Clintons after Bill’s quadruple bypass surgery in 2004, which emphasizes diet as a means to detoxify the body and cure disease. In spite of its popularity, the paleo diet recently placed dead last in U.S. News & World Report’s 2015 Best Diet rankings. Evaluated by a panel of dieticians and health and nutrition experts, paleo came in at number 35 of 35 trending diet plans based on factors including nutrition, safety and probability of weight loss. While there’s much debate among experts about the “ideal” diet, virtually all agree that there are major health advantages to eating fewer processed foods, especially those high in sugar. The list of forbidden foods for paleo dieters is lengthy, which could make it difficult to stick to long term. Beans and legumes are not allowed, a definite downer for non-meat eaters. Unlike cleanses and other deprivation-based weight loss plans, the paleo diet packs plenty of nutrients. Protein is definitely not in short supply and with proper meal planning you’ll also get loads of vitamins, fiber and even calcium (from paleo-friendly sources like dark leafy greens and coconut milk). According to Cordain, over 50% of the paleo dieter’s calories should come from animal protein. That can add up to a hefty grocery bill. There’s also the steep environmental cost, including greenhouse gas emissions, deforestation and water pollution. The paleo diet’s numerous restrictions, including butter and vegetable oil, make take-out and restaurant dining a challenge. One of the diet’s major pitfalls is that it can be very high in saturated fat, which can quickly add up to extra pounds. 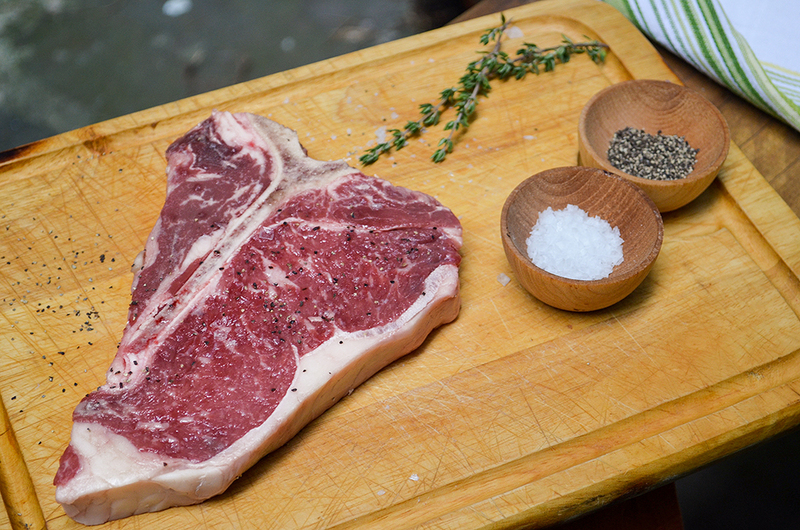 If you’re considering the Paleolithic diet for weight loss, be sure to moderate your red meat intake. The paleo diet can be a useful tool to kickstart healthier eating habits, but it requires some planning and make-ahead meal prep. Load up on nutrient-rich veggies and lean protein, like poultry and fish, to keep saturated fat low and the odds of slimming down high.